I have just a couple of spaces left for the Italian Garden tour taking place in April; this is an all inclusive luxury 5 night holiday where you can join me for an exclusive tour of some of the best gardens in Tuscany. From personal knowledge of the area, I have selected gardens that I think are the very best in the region and which offer an insight into this beautiful part of the world and the people it has inspired. We will stay in a gracious and comfortable 4* hotel in Fiesole from where we can enjoy the expansive view over Florence, and I have selected interesting Italian trattorias and restaurants for lunches and dinners that offer some wonderful Tuscan cuisine created by passionate chefs using locally sourced ingredients often grown on-site. This includes dinner at a fattoria which won ‘Olive Oil of the Year’ in 2014 and an al fresco lunch at the Castello di Celsa. Full details are here . 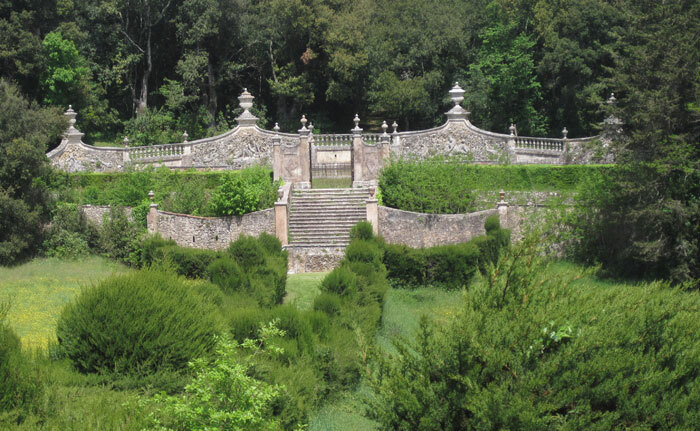 You might also like to see a review of the Villa Gamberaia (below) that I wrote for Into Gardens – this being the garden that is often cited as the ultimate iconic garden, the one that has influenced more designers than any other and a model of perfection for the smaller garden. The tour is offered to a limited number only to retain its charm and intimacy. I have just a couple of places left so please enquire or book now to avoid disappointment.